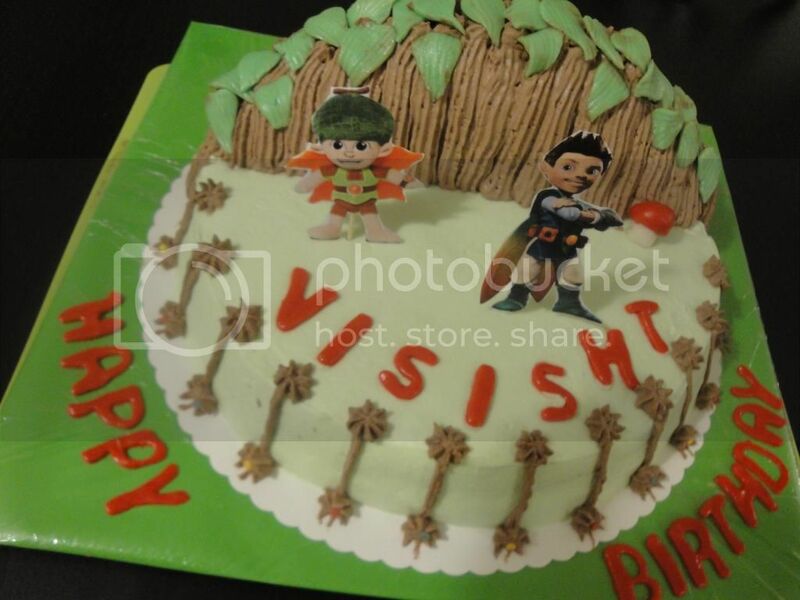 Vishy wants to have Tree Fu Tom cake for his birthday this year & he was too happy to make this cake for his friends in his school. This unusual combination of ingredients make a surprisingly good, moist and chocolaty cake. 1. Preheat the oven to 170 C. Grease and line up the baking pan with parchment paper. 2. Combine the flour, cocoa, baking powder, baking soda and all pice into a medium bowl. Beat the eggs, sugar, sour cream, oil and vanilla in a large bowl until smooth. Beat in the mixed dry ingredients. Stir the beets in by hand. 3. 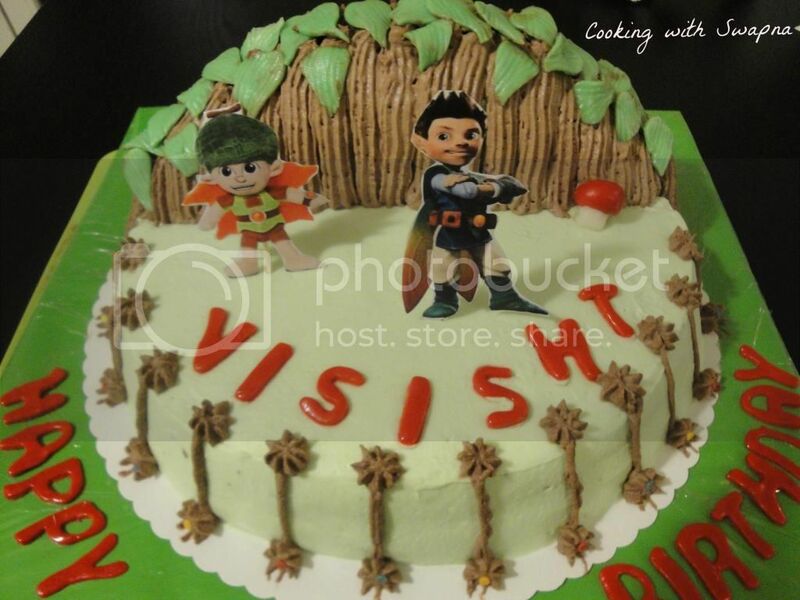 Bake the cake for 1 hour or until a skewer comes out clean when inserted into the center. 4. Cool the cake completely and frost the cake with the whipping cream.